Just a decade back a fully automated airport with no staff seemed something out of a science fiction movie. Today it is a reality. 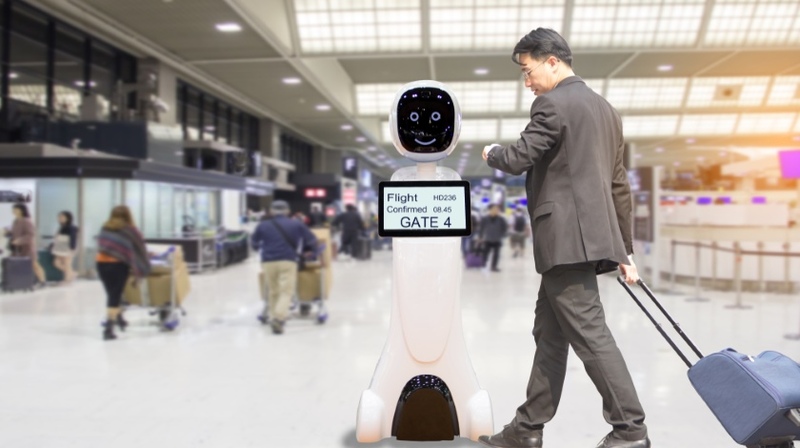 From Glasgow Airport’s trial with GLAdys, Shenzhen Airport’s operating security robot Anbot to the fully automated Changi’s Terminal 4 − the industry seems to be moving towards a completely seamless experience for passengers. Starting with biometrics and ending with customer service robots, what does the airport of the future look like and do humans need not apply? Biometric technology is at the top of the list of the upcoming industry game-changers that bring passengers closer to seamless airport walkthrough. For instance, technology like in-motion biometrics can identify moving travelers without them ever stopping for ID checks. Boarding a plane by using a passenger’s biometric data only requires a fingerprint rather than a passport and a boarding pass. Arguably most impressive of these is an already operational security robot Anbot. Stationed at Shenzhen Bao’an Airport, Anbot is assigned to carry out security checks at airports’ Terminal 3. It has facial recognition and is equipped with electrically charged riot control tool that can be activated by an officer in a control room. Today, Anbot is the closest thing to a real life RoboCop. While this technology seems to benefit customers and airports, the speed at which it is evolving and being implemented also raise concerns. Biometric security has caused some apprehension over privacy. Technology of autonomous vehicles naturally bears the question of who is responsible if it injures a person. Whether it is a security robot or a driverless vehicle, the ultimate question is who takes the blame for its malfunction and how to avoid it?